€urovisions – a live cinema performance by European Souvenirs – is part of Remapping Europe – a Remix Project, an investigative artistic project by Doc Next Network with activities that stem from one underlying principle: re-mixing of media as a method to re-view, re-investigate and re-consider prevailing imagery of migrants in European societies. €urovisions is partly drawing on the material generated in the Remapping Europe workshops. Doc Next Network is a unique movement of independent organisations operating within the field of culture in the UK, Spain, the Netherlands, Poland and Turkey. We are media-makers, curators, researchers, producers, educators and entrepreneurs. We support creative documentary activities of young people. Doc Next Network in an innovative link between the world of free culture and the traditional art market. We present an alternative perspective on contemporary Europe. 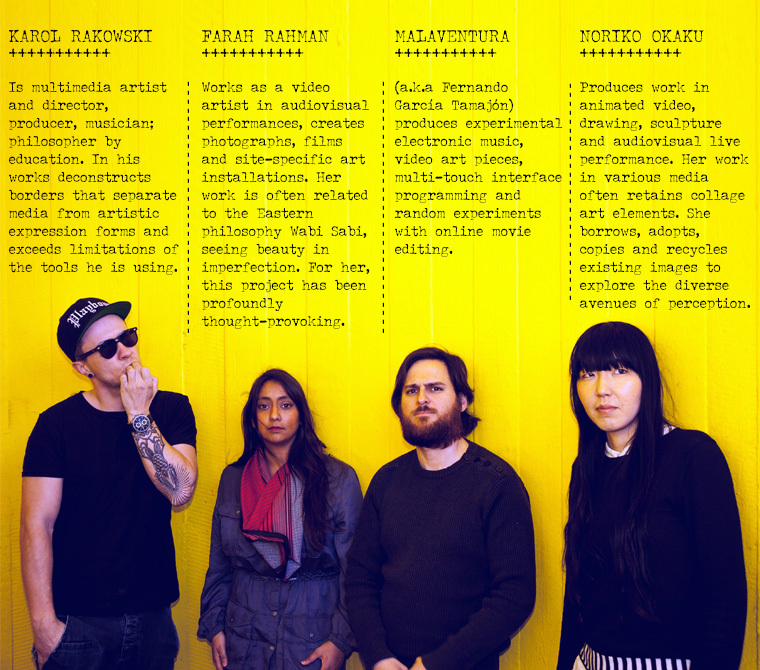 ZEMOS98 is a team of cultural workers. We investigate audiovisual and VJ Culture. We try to create critical thinking, we try to deconstruct the mass-media messages, we try to weave networks, relationships and communities. We try to work in the intersections and margins. We try to work (g)locally, beyond the borders. We try to take care of our networks and we try to reuse and remix all of our contents. We try to organize a Festival every year and we are trying to create a New Media Laboratory called 98LAB to learn about this things. So, basically, we try things. The Light Surgeons, a multimedia production company spanning ﬁlm, motion graphics, print, photography, installations, exhibitions and pioneering live audio visual performances. He established the group in the mid 90′s and began working with various club nights, independent record labels and musicians developing a layered, analogue approach to making visuals. Documentalists: Lucas Tello (SP), Nagehan Uskan (TK) & David Sypniewski (PL).